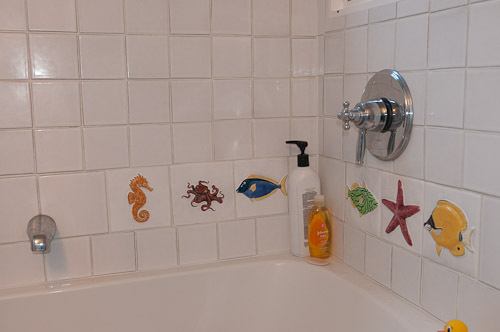 We purchased tile from Fireclay Tile in San Jose, California for our bathroom walls. 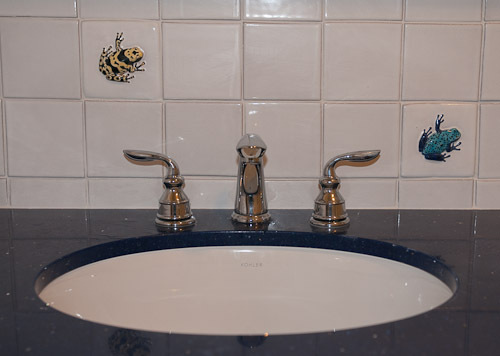 Joy Munshower designed, sculpted, and hand-painted a number of animal accent tiles. Without her, we probably would not have paid the extra cost of hand-made tile, even if it is half recycled materials. 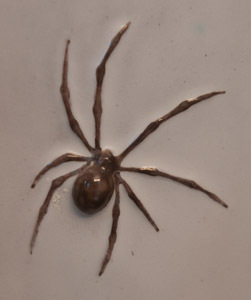 But we just love the animals and the attention to detail. 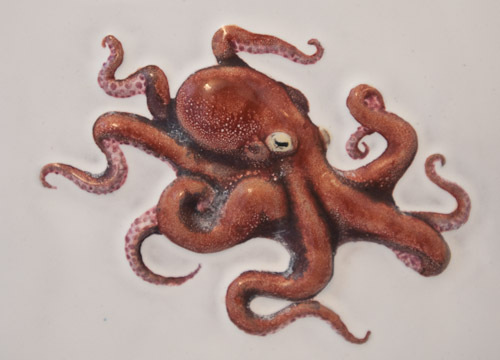 The synergy between Fireclay's hand-made tile and Joy's beautiful art is just fabulous. The octopus is my favorite. 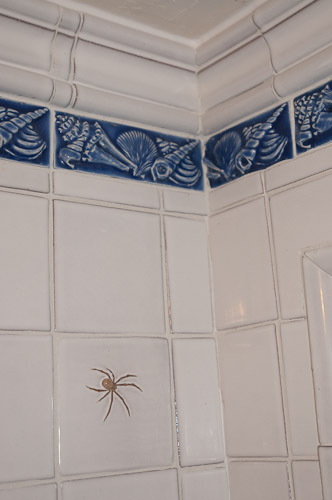 We used blue shell tiles from the boneyard for a decorative border around the top of the shower, just below the crown molding. The boneyard tiles were about $1 each. What a deal! 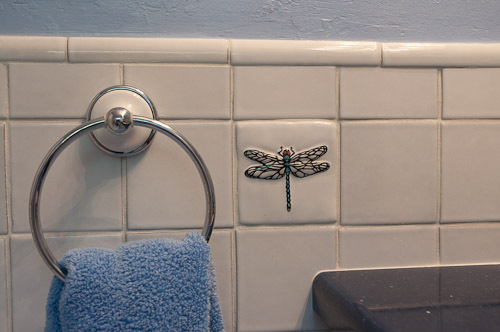 We have frogs a-hopping around the sink, and a dragonfly, too. 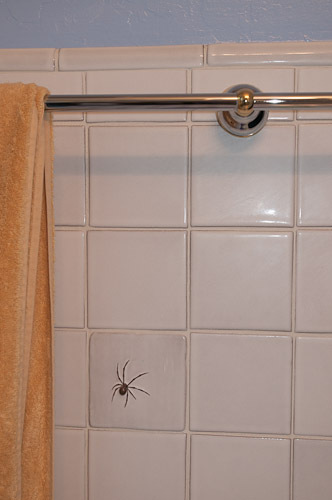 A spider hides under the guest towels. Just look at the attention to detail!